Centel Media is an honest, reputable company and would never protect unethical people or businesses. This alone is a huge part of what differentiates Centel Media from other online reputation management companies. Other online reputation management companies will take on any client that comes to them with negativity. To these companies, any client is money. Centel Media has ethical standards and each client has to fit these standards. Each time Centel Media finds a potential client, an ethics attorney firm does a prescreening of that client. Centel does not take on child rapists, molesters, murders, or anyone who can be seen as a legitimate threat to society. Enron, for example, would not fit into Centel Media’s requirement of an ethical, honest company. 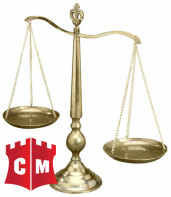 Centel Media is the top online reputation management company because of its ethical standards. When we take on a client, whether it is a business or an individual, we work to suppress negativity online as well as boost the client’s positive content. Centel is in no way set out to help dishonest, untrustworthy people. Our goal is to aid society, not hinder it. We pride ourselves on helping those who want to move up in the world, but may have received some negative comments or other content because of a disgruntled former employee, former friend, customer, or something of the sort. Centel Media’s team is made up of people who have seen others suffer because of an image posted or a comment made online, and we understood their hardship. Everything that is posted online can spread quickly, but it does not have to take over your life. However, just like society makes its citizens aware of offenders in the area, Centel Media would not assist in taking that knowledge away. As an online reputation management firm, Centel Media wants to better the lives of those that have been wronged online. Yet, Centel Media looks out for the best interest of everyone else. Safety is a top priority. Any clients that are ethical and are looking to improve their online reputation are always welcome at Centel Media. We aren’t an evil corporation—we work for the good guys. If this is you, please give us a call and let us know how we can help you. Sign up for FREE Online Reputation Monitoring!